HSA is located at 67 Mount Auburn Street. Harvard Student Agencies acquired Campus Insights, a student-run millennial user experience firm, earlier this month as part of an expansion into the technology industry. Campus Insights, founded by brothers Riley Soward and Stephen Soward in 2014, is a tech consulting startup that conducts user research and analysis for their clients’ apps or websites. The company employs college students to interview similarly aged tech users, according to James N. Swingos ’20, who has worked with the Sowards since last July and has now taken over as CEO of Campus Insights. Swingos said that using student interviewers in a casual setting is an advantage of the company's model. “It’s more relatable, and as a result interviewees feel more comfortable,” he said. 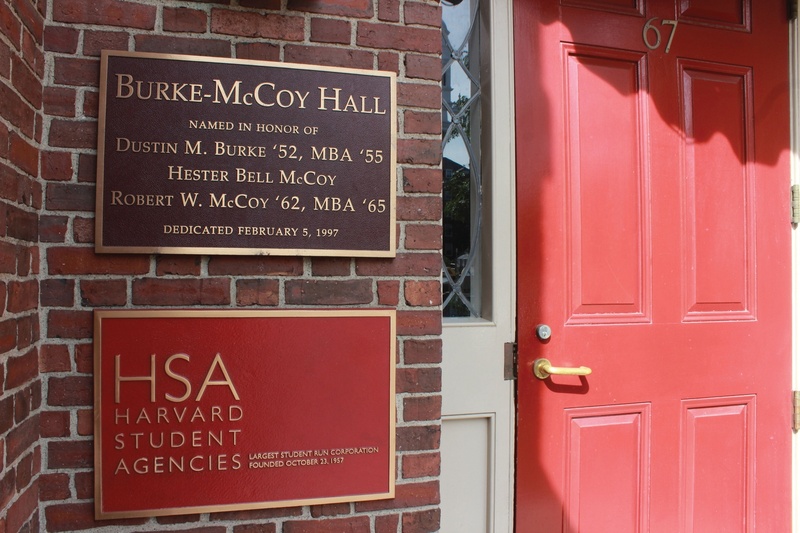 As both founders have graduated from Boston College and moved on, they looked to HSA to continue the mission of Campus Insights. “They were like, how do we keep this going? Let’s put in an organization that systematically has college students run the show,” Swingos said. Swingos said the acquisition aligned with HSA’s future plans. “We wanted to keep moving into tech because we think it’s an awesome opportunity for managers to learn about more technical spaces, as opposed to more traditional HSA stuff,” Swingos said. HSA began their expansion into the tech and startup area over a year ago with the inception of Dev, their new web and app development program. Dastjerdi said the acquisition process, ongoing for the past year, has been a learning experience. Swingos now works with a team of five others, comprising four researchers and another salesperson in addition to himself. “In general, sales is pretty tough because we’re selling a very niche product, to a niche group of people,” Swingos said. In particular, he said, it is more difficult for college students to sell to higher profile companies. “We just finished a project with Airbnb a month and a half ago, and we’re working with a Fortune 50 company right now,” Swingos said. —Staff Writer Elizabeth H. Yang can be reached at elizabeth.yang@thecrimson.com.